Completed in 1969, Mertz Hall is named for Fr. James Mertz, S.J., professor of classics and the driving force behind the construction of Madonna Della Strada Chapel. Mertz Hall has dormitory housing and a 299-seat theater. Centennial Forum houses the student union, dining facilities for students, and recreational rooms. 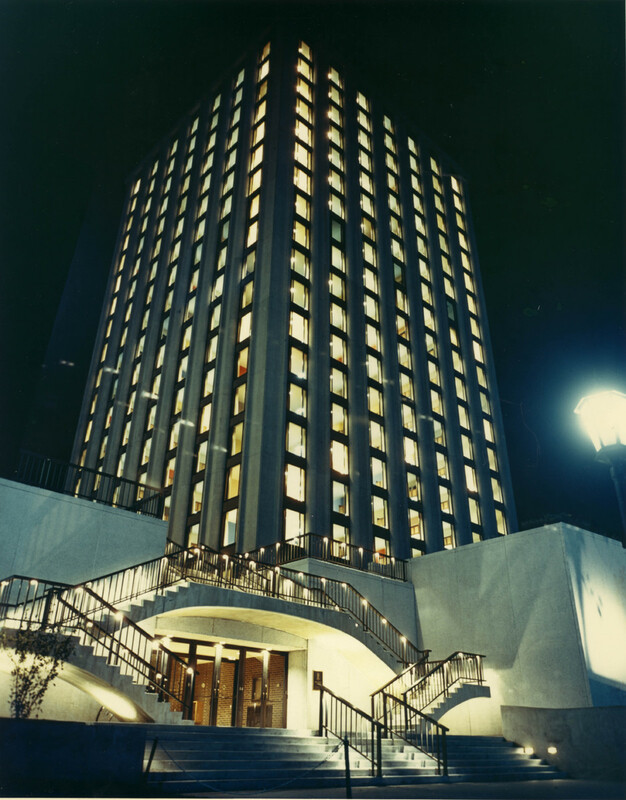 Mertz Hall and Centennial Forum were built to celebrate Loyola's 100th anniversary in 1970.